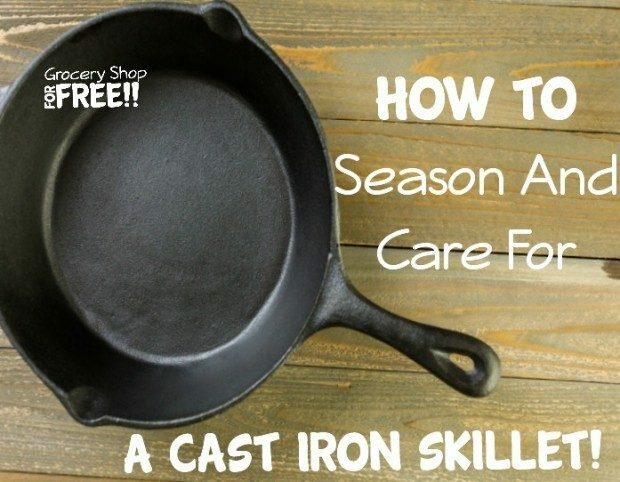 How To Season And Care For A Cast Iron Skillet! 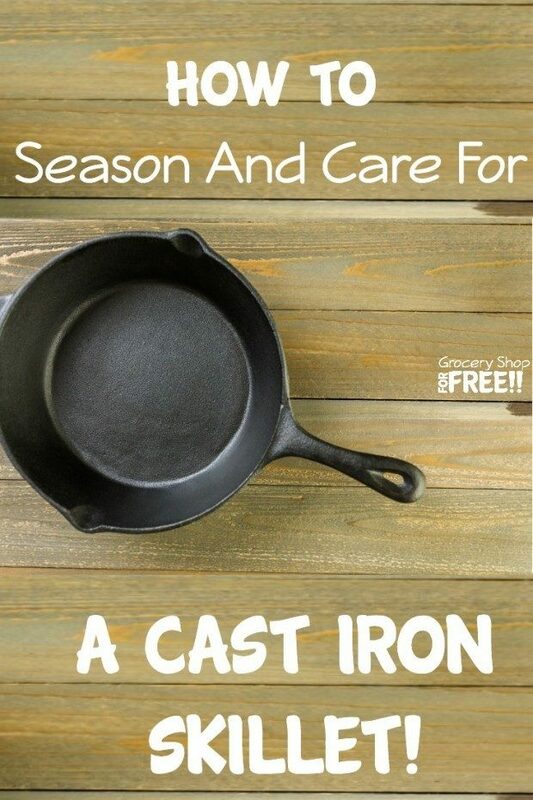 You are here: Home / Family Living / How To Season And Care For A Cast Iron Skillet! My Cast Iron skillet has seen a lot of love over the years. From sizzling steaks to homemade flour tortillas, this pan has seen it all, but you’d never know by looking at it. Why? Just like your favorite risotto recipe, your Cast Iron pan needs to be well seasoned and cared for. Unlike stainless steel, you can’t just stick it in the dishwasher or soak it in hot water until you feel like giving it a deep scrub. You’ve got to give it some love and attention. Yes, Cast Iron pans can be a bit more high maintenance to use, but the reward is worth it. In return, they’ll crust your steak to perfection and gently toast your tortillas as though it was a Mexican brick oven. Cast Iron cookware is in it for the long haul. You can easily use the same Cast Iron pan you received at your bridal shower to cook your own granddaughter’s welcome home dinner, some 40 off years later. Cast Iron is also versatile. It can be used on the stove top as well as in the oven. Unless you’re using an expensive dutch oven, most household pans aren’t designed for use in the oven. Finally, say goodbye to pancakes that are undercooked on one side and charred on the other. Cast Iron provides an even heating element making it simple to cook a variety of foods which require even cooking. You MUST season your Cast Iron pan prior to first use and on the occasion you see the seasoning coating wearing off. This creates a “non-stick” like coating to the pan and prevents rusting. To season a Cast Iron pan start by turning on the oven to 350 degrees. Apply a thin coat of vegetable shortening or cooking oil (vegetable or canola) to the Cast Iron pan and distribute evenly using your fingers or a paper towel. Make sure every inch is well coated, even up the sides. Transfer the pan to the hot oven and let “set in” for an hour. Turn off the oven and let the pan cool to room temperature. Wipe off the remaining oil. Your Cast Iron pan is now seasoned and ready to go! Cast Iron pans are super easy to keep clean once you know what you’re doing. Unlike other pans you don’t want to soak, scrub and repeat. All you want to do is remove the leftover food without removing the seasoning. Think slow and gentle. As soon as the pan cools, cover the food spots with coarse salt and a small dot of cooking oil. Scrub in a circular motion, using a paper towel, until the food is removed. For really tough jobs use a slightly soaked paper towel (with hot water) or use a metal spatula to scrape it up. That’s it! That’s how to shower your Cast Iron gem with love and attention. It’s easier than it sounds, but most people aren’t aware of the “rules” of owning a Cast Iron pan. I’ll leave you with this….PLEASE use an oven mitt at all times. Cast Iron pans retain heat for long periods and will quickly blister skin. Take it from me. It hurts…now don’t say I didn’t warn you. This article is brought to you by Darcey from FoodieandWine. Darcey is well versed in the art of creating unforgettable dishes (such as Coconut Shrimp and Prime Rib) and overly serving brightly colored cocktails to guests! When she’s not soaking in the San Diego sunshine or pouting about her lack of “British royalty” roots, she’s experimenting in the kitchen to develop the next FoodieandWine recipe.